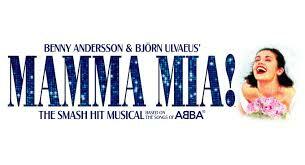 Our next Theatre trip is to see the amazing Mamma Mia at Birmingham Hippodrome on Monday 25th July 7.30pm performance. The coach will be departing from The Sun Inn at Marton at 5.00pm, you're able to park your cars at The Sun if necessary. Tickets are £53 each including the coach. If you would like to reserve a place please get in touch. Payment needed by 1st June 2015.